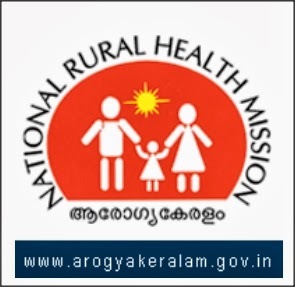 Ernakulam district has so far received about Rs 88.37 crore for various health-related initiatives under the National Rural Health Mission (NRHM). Of this, the district was able to successfully spent Rs 87.68 crore for these projects, said an official release. The district has about 35 health projects being implemented here currently under the National Rural Health Mission. The Arogya Kerala project began in the district on April 1, 2007. Ensuring primary health care in the district, reducing the child and mother death rate, improving the health of children and women, making drinking water, hygiene, nutritious diet available to everyone, ensuring disease prevention, preventing contagious diseases and lifestyle diseases are part of the targets of National Rural Health Mission. The Mission also gives thrust to renovate traditional medicines and bringing alternative medicines to the mainstream. Ernakulam district received a total of Rs 48.59 crore under RCH project, Rs 2.70 crore for immunisation programmes and Rs 37.08 crore under additional category. In the last financial year, the district has been allotted Rs 4.06 lakh for improved facilities for detection of sexual diseases. Of this Rs 3.47 lakh has been used for improving the laboratory facilities at Angamaly, Pappilly, Perumbavoor and North Paravoor. In addition about 10 camps were organised in various parts of the district. As many as 957 people benefited from these camps. Under the School-related health projects, health check-up of 1,45,376 students were carried out. Seven panchayat level camps and 21 multi-speciality camps were organised. Medicines were given to 20,534 students. As many as 300 children were referred to specialist doctors for further treatment. During the last financial year, 26,848 children were given preventive vaccines through feed-level programmes. Health services were given to 8,852 pregnant women in the district. According to the decision taken by the welfare committees, Rs 5 lakh each was allotted to Ernakualm General Hospital, Mattancherry Hospital, Rs 3 lakh each was allotted to Muvattupuzha General Hospital and Aluva Hospital. The NRHM aims to ensure complete health to all by spending more in the health sector.